France plunged in chaos; are the days of François Hollande numbered? Two weeks before the UEFA EURO 2016 starts in Saint-Denis near Paris the situation in France is deteriorating rapidly now that the country is also running out of petrol due to labor unrest. The French police are overwhelmed due to the state of emergency after the two terrorist attacks in Paris last year. Since then there have been large-scale civil upheavals and riots due to labor law reforms and chaos as a result of immigration problems near Calais. France is known for its radical labor protests and it is not the first time the country experienced a petrol shortage due to blockades. But this time it is different because there is now discontent at all levels of French society. 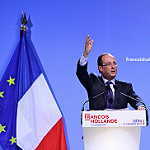 Francois Hollande has an approving rating of 17 %, which is the lowest ever for a president of the Fifth Republic1)Francois Hollande scores lowest poll for a French president Source EuroNews. The French government is facing serious risks of rebellion in the security apparatus, the police, and the army. 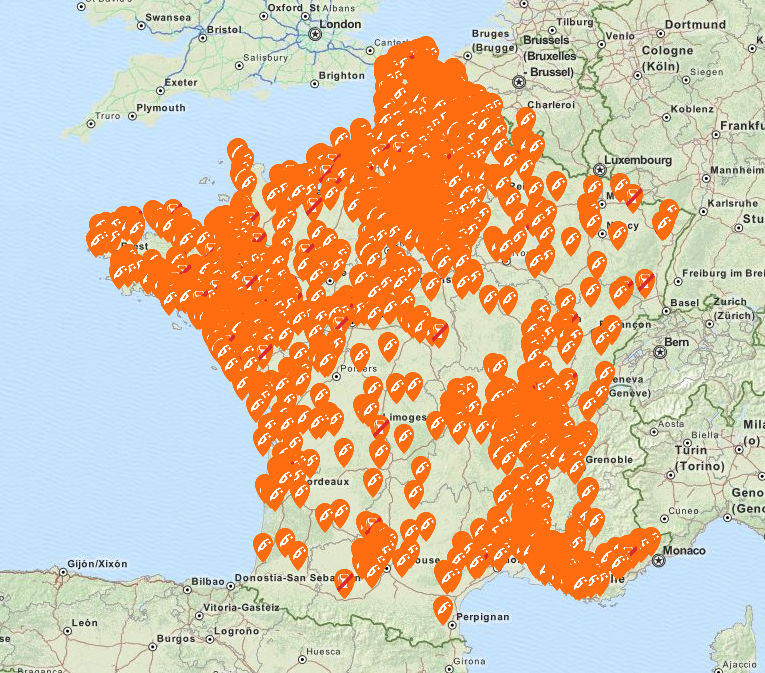 In October thousands of police officers took to the streets to demonstrate against a lack of resources, rising violence, and an ineffective justice system2)Thousands of French police protest govt after shooting of colleague by prisoner Source RT. Since then the situation has only deteriorated. The French Police is hardly able to maintain order on the “route national,” France’s highways near Calais as immigrants heading for the UK show their contempt for the French rule of law and its civil servants. Last week the world witnessed on YouTube how a French police car with two police officers inside was being smashed and eventually torched by the so-called “black bloc,” a violent anarchistic youth movement. The Paris authorities reacted by promoting the officer even though he had failed his exam: a sign that the desperate authorities are trying to quell the unrest under police officers3)French officer decorated over professional response to shocking police car attack Source France24. France has an official unemployment rate of 10,5% and a youth unemployment of 24%. It has the highest Muslim population of Western Europe. The estimations are ranging from 7.5% to 9.6%. We think these percentages could even be higher as there are probably a high number of illegals living in France4)5 facts about the Muslim population in Europe Source Pew Research Muslims in Europe: Country guide Source BBC. The country has a persistent trade deficit; such a situation is not tenable in a monetary union. For these reasons, France is forced to restructure its economy according to the German pattern: lower government expenses, higher taxes, retirement age increase, and lower workers’ rights. The same recipe that has crippled Greece. France will face years of painful, fruitless, economic restructuring accompanied by an immigration policy that has gone completely out of control and is sinking the country into oblivion. The French elites living in the 14th arrondissement of Paris have never seen immigration as a problem. France is a nation that has a long tradition of separation of religion and state. The French elites wrongly believed that the millions of immigrants arrived in France to adapt to the “superior” French culture and values. While French political establishment denying all warning signs, the banlieues are now forming a parallel society. The African predominant Muslim population in these neighborhoods does not share French values, like gender equality, democracy, and gay-rights. While most of the Muslims denounce the terror attack on the Charlie Abdo headquarters they do not believe Muslims were involved but rather think the Jewish Mossad was responsible for the assaults. France, once known for its renowned Sorbonne University, has now become the breeding ground for Muslim Jihadists like those from Afghanistan and Yemen who committed attacks in Syria, Iraq and Paris. While we yet do not know who downed the Egyptian airline, Charles De Gaulle Airport has dismissed 70 workers for having connections with the Jihadist networks5)Paris attacks: 70 staff have security clearance revoked for suspected ‘radicalisation’ at French airports Source Independent. We only need another couple of planes brought down, and not only will the European air flight industry come to a halt, but also France’s failed multicultural society will implode. It is naive to believe sectarian violence will be limited to Beirut and will never happen in Paris. Other ethnic branches of society will not refrain from retaliation indefinitely. It is not only that the French political elites have failed their people, also France’s role in Europe is waning. France has played no role in Greece’s drama. France was forced by Germany and the US to cancel its military relations with Russia as the US prohibited France from selling its two Mistral Ships to Russia6)Mistral Dispute With Russia Settled, France Eyes Exports Source Defence News. Merkel is now negotiating with Turkey about Turkey’s new role in the European Union without France being asked to participate. France attempted to revive the Palestine-Israeli peace initiative to appease its own growing Arab population but has had no international impact as Israel rejects the French initiative7)Netanyahu renews rejection of French peace initiative Source Aljazeera. The diminishing of France’s standing in Europe antagonizes the French Liberal elites that still see France as a country that matters. The resentment against Europe is growing under the former defenders of the Europe Union. France, with a 25% Muslim youth8)Latest Survey Finds 25% of French Teenagers Are Muslims Source PJ Media, is now a country on the verge of sinking into oblivion. Now French petrol stations are running dry and we expect shops will face shortages within a couple of days. It is not a Brexit, but the coming implosion of French society that is Europe’s Black Swan. We will not be surprised if one of these days Hollande disappears from the political theater.